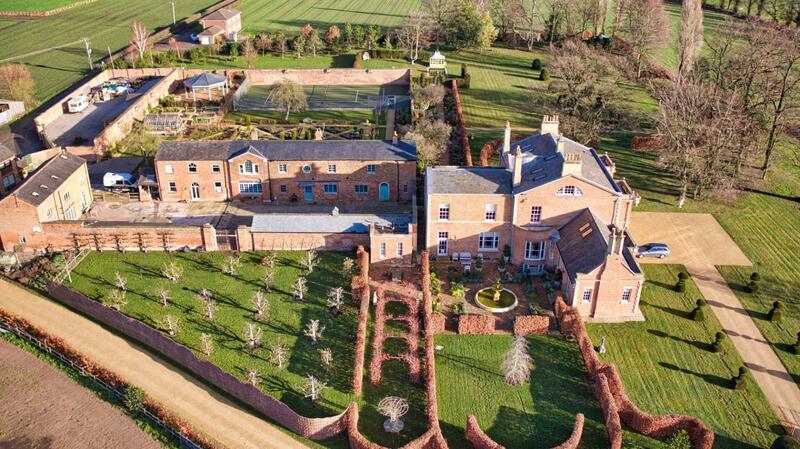 An exquisite Cheshire Estate comprising a stunning fully renovated Grade II listed Georgian mansion nestling in circa 10 acres of exquisite formal gardens and grounds benefitting from a rear courtyard with a number of residential properties. 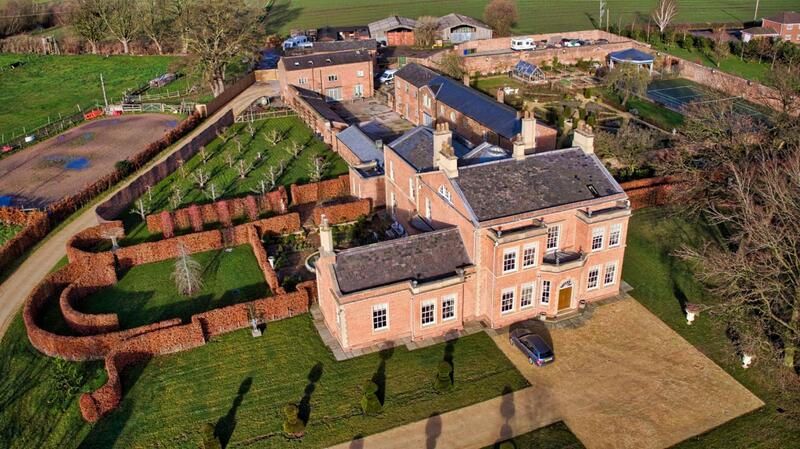 The property includes the main mansion house (approx. 10,000sqft) and a range of properties featured around a most attractive cobbled courtyard to the rear of the main property with separate driveway, Handan Court (2500sqft) Pole Mews (2912sqft) Handan Court Barn (1116sqft) Pole Court (1181sqft) and a further single storey barn (717sqft). 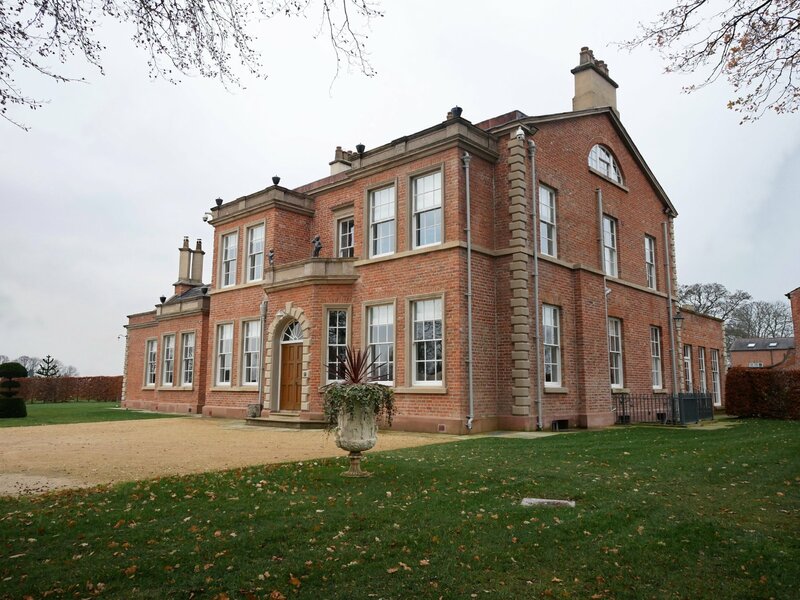 The main house was originally constructed in 1792 and was modified in the late 1900's, over the past few years the property has enjoyed a complete 'back to brick' restoration where a tremendous amount of research was undertaken to ensure that the residence remained true to the Georgian style whilst making it complicit with modern living standards. 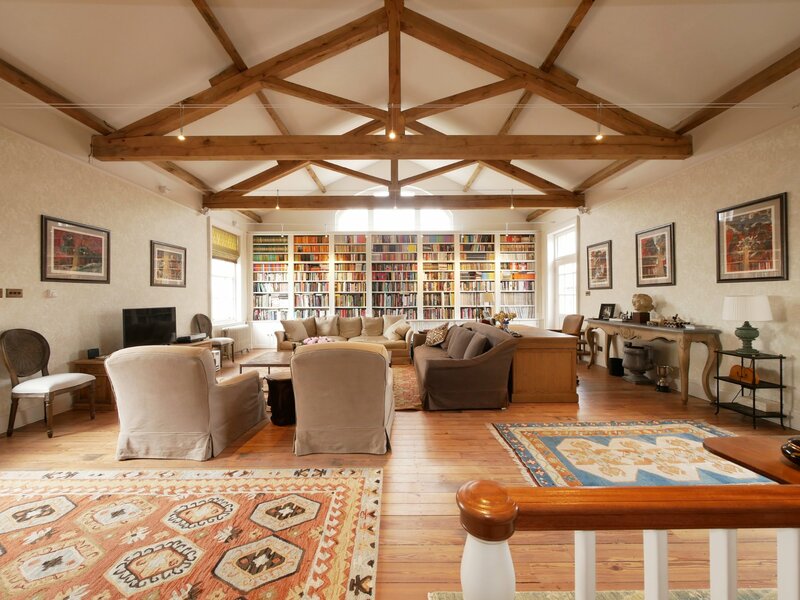 An example of the exacting standards which has been attributed to the property is the rear two storey extension which has created a simply stunning kitchen with library above which blends effortlessly with the original structure. GROUND FLOOR The Pole has an inviting porch area featuring original stone flooring, with a most attractive archway and inset semi-circular leaded window. 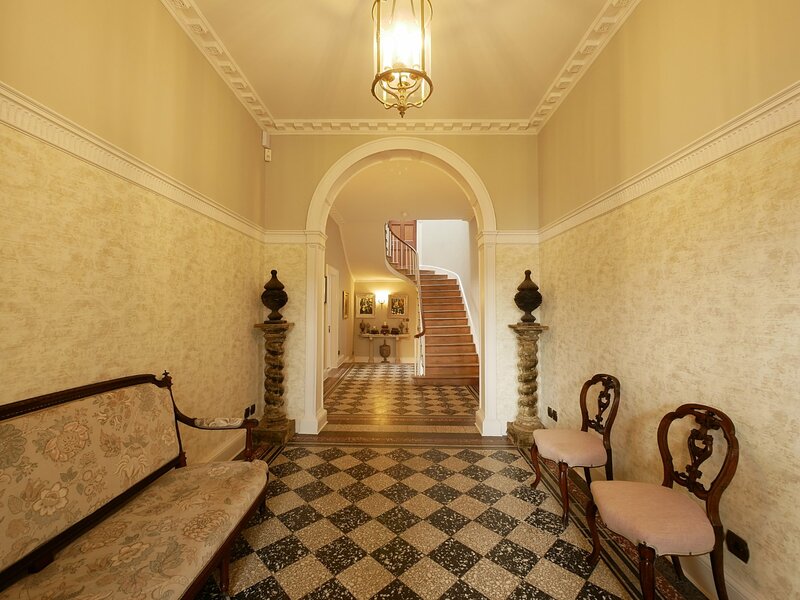 The entrance hall offers a beautifully tiled floor, ornate coving and further archway leading to an elegant curved staircase taking you to the first floor accommodation. 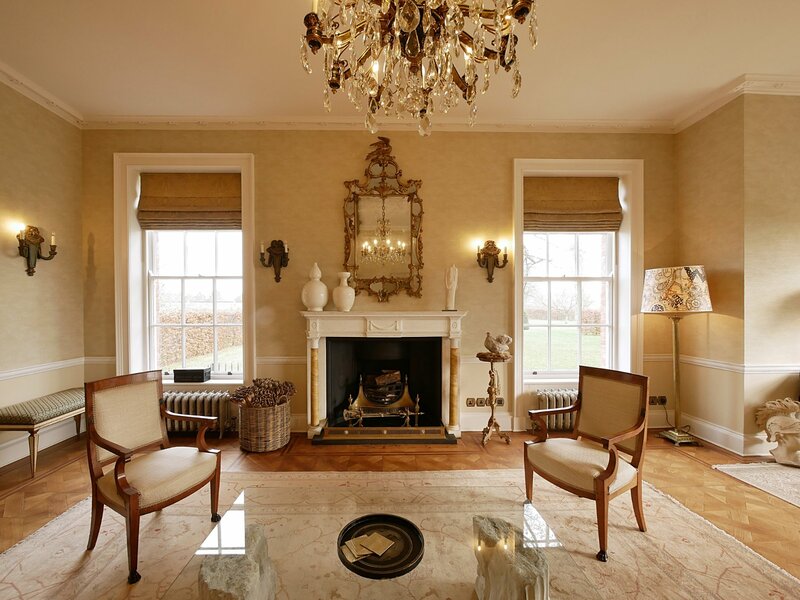 Off the hall is a tasteful, dual aspect sitting room offering far reaching views, the focal point of the room is a fireplace, over which is a marble surround with columns. The dining room is ideal for formal occasions, featuring two floor to ceiling sash windows overlooking the gardens to the front of the property, again there is an open fire with marble surround. The morning room is a lovely west facing reception room overlooking the side courtyard and fountain, featuring an open fireplace with marble surround. 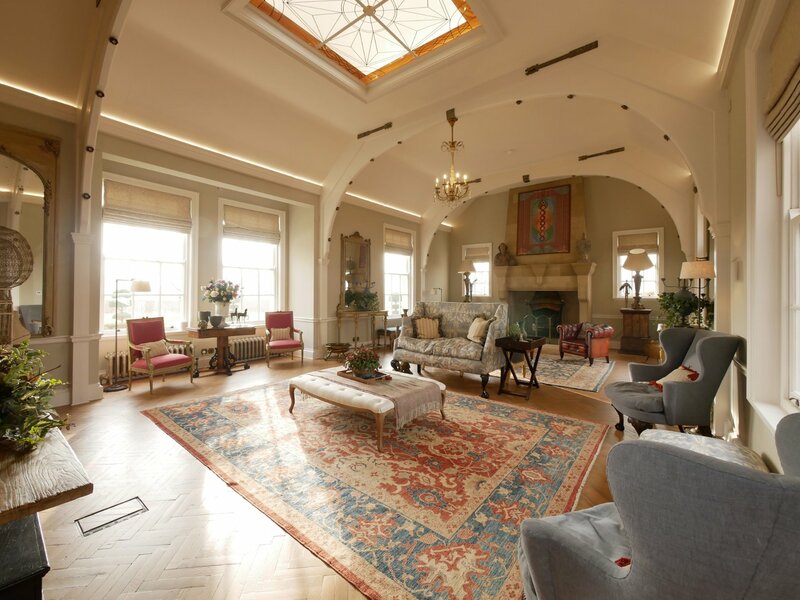 The morning room leads through to the grand drawing room (this would have originally been the billiard room) which is arguably the far the most impressive room retaining many original features, boasting fine revealed archways and high ceilings, offering views from every window. 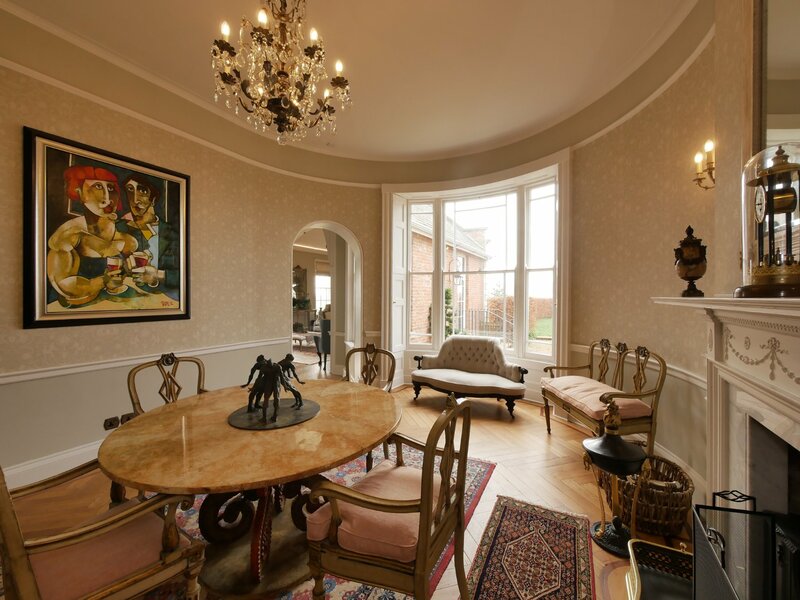 The centre piece is a wonderfully ornate floor to ceiling stone fireplace. 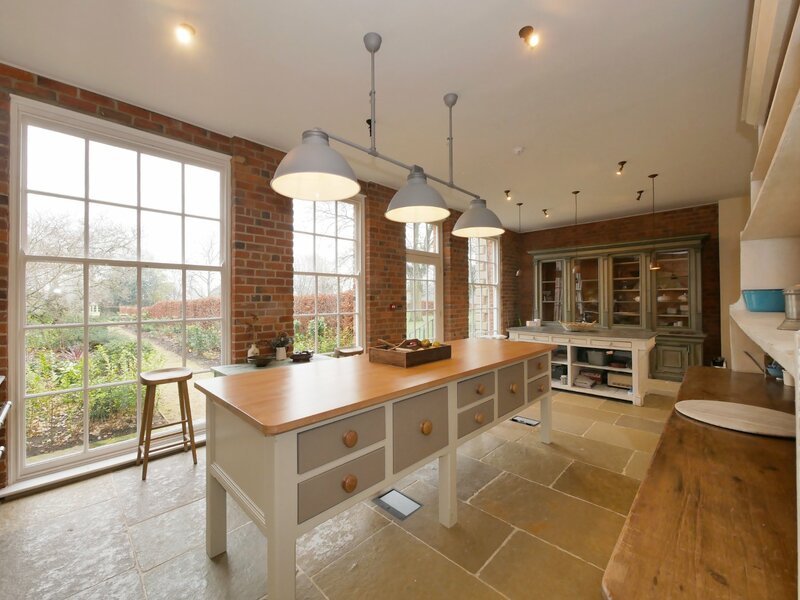 The kitchen/dining room is a recent extension to the property which blends beautifully with the original house. This L -shaped room spans almost forty feet in width and has been meticulously designed to make the most of the space on offer. 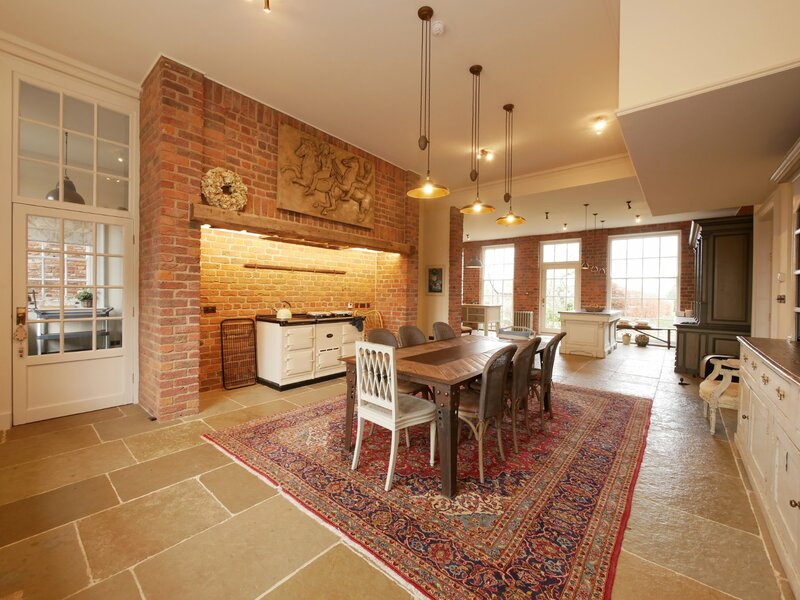 There is space for a large range/Aga style cooker to sit within a revealed brick inglenook as well as fittings for a further professional oven to the right hand side of the room, ideal for those who have a live in chef. 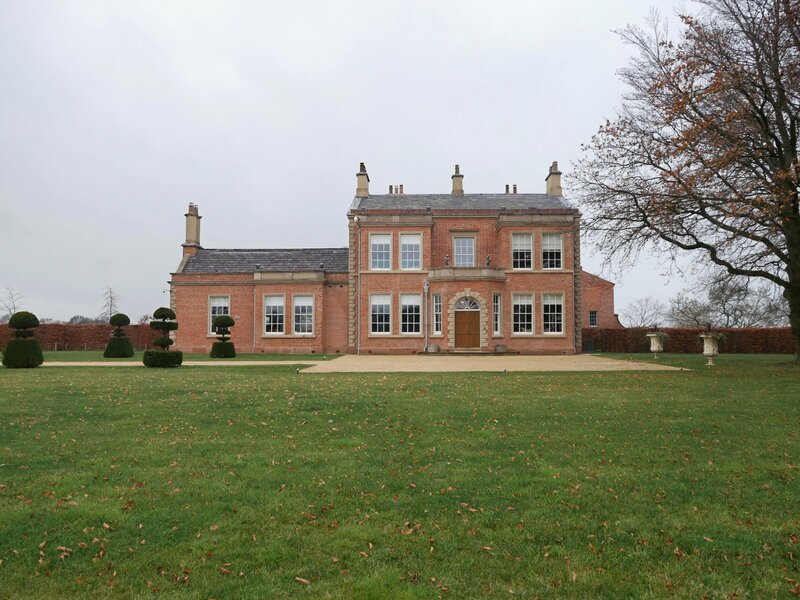 On the eastern side of the room are three floor-to-ceiling sash windows overlooking the gardens and grounds, with an access door to the side patio. To the western facing side of the room is a stylish floor mounted, painted hardwood unit featuring a number of drawers and a twin butler sink unit. The window above overlooks the fountain and side patio area.. Off the kitchen there is a large walk in pantry with flagged stone floor throughout, and access to the rear hall/boot room which offers a side door to the west facing patio. From the main hall is a chic panelled cloakroom fitted with an antique WC with copper cistern, pedestal wash hand basin and oak flooring throughout. LOWER GROUND FLOOR The lower ground floor offers a number of rooms which could be utilised in different ways. 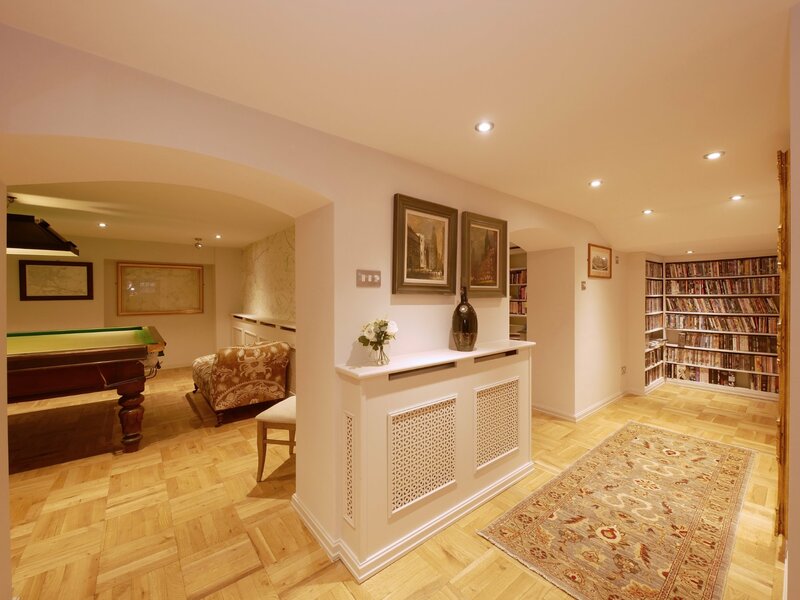 There is a large games room, study, which would make an ideal library or cinema room, a barrel vaulted wine cellar featuring a stone flooring and shelving, a large reception room which would lend itself to a gymnasium and a boiler room housing all of the comms system for the house and the two water tanks. In addition there is a cloakroom housing a WC and wash hand basin. FIRST FLOOR From the main entrance hall the fine curved staircase leads to a half landing with an access door to a most impressive triple aspect library featuring a high ceiling with revealed beamwork, door to a large outside roof terrace and far reaching rural views in both a westerly and easterly direction. The library does have planning permission to be converted into two bedrooms and a bathroom. 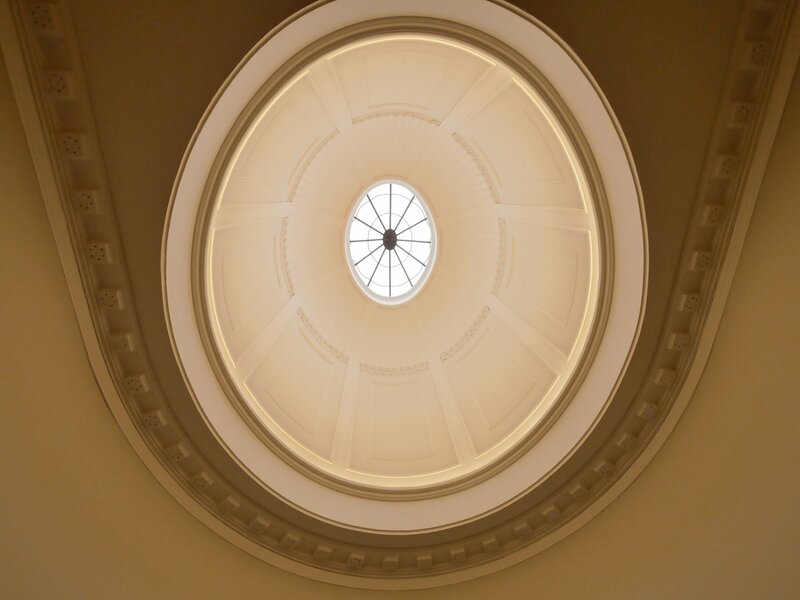 Above the staircase is the marvellous original glazed dome adorned with decorative plasterwork in keeping with the original period of the house. The spacious first floor landing offers access to the master bedroom and ensuite, two further double bedrooms and a family shower room. 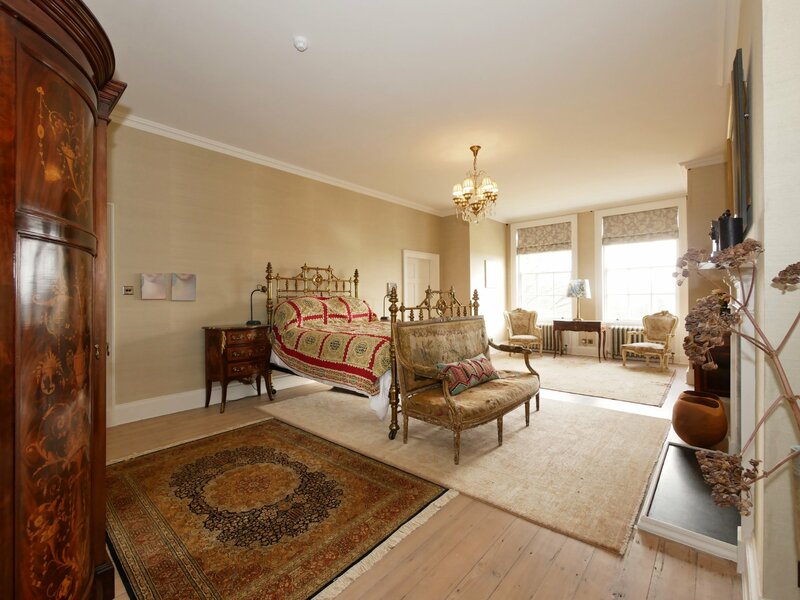 The grand south facing master bedroom offers far reaching views via two large sash windows, the focal point of the room is a cast iron fireplace with marble surround. 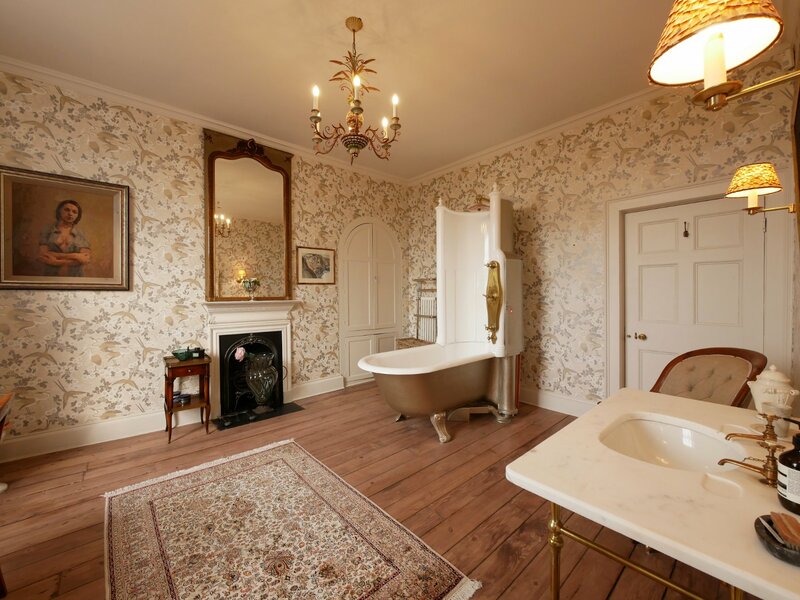 The en-suite bathroom comprises an antique cast iron, claw foot bath, combination shower unit, marbled topped sink unit low level WC and ornate cast iron fireplace. Bedroom two is a dual aspect double bedroom offering views over the rural landscape, fitted with an ornate cast iron fireplace. 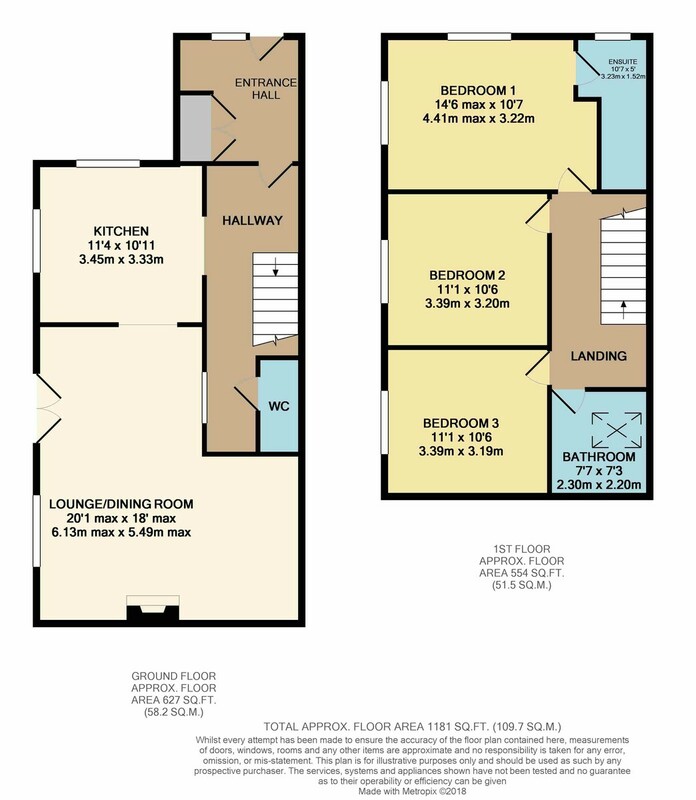 Bedroom three is a spacious double bedroom offering an easterly aspect. The family shower room comprises a low level WC with antique style cistern, walk in fully tiled shower cubicle and marble topped vanity unit and wash hand basin, there are access doors to both bedrooms two and three. SECOND FLOOR An inner landing on the first floor is fitted with a staircase leading to the second floor, which at one time would have been the servants quarters, this would be ideal accommodation for a live in nanny/housekeeper or self contained apartment for an older child or family members. 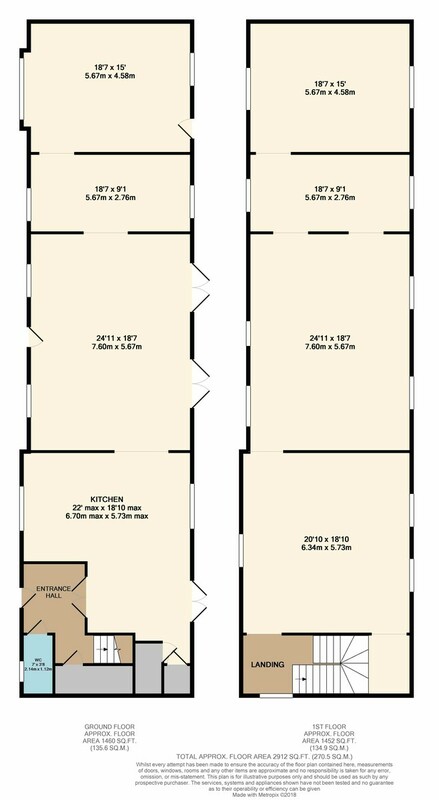 The second floor landing area is fitted with a range of built in wardrobes and offers access to three large double bedrooms each with built in storage and wardrobe space. The family bathroom has been designed to an exacting standard comprising a large walk in fully tiled shower cubicle, freestanding bath, WC and antique style wash hand basin. 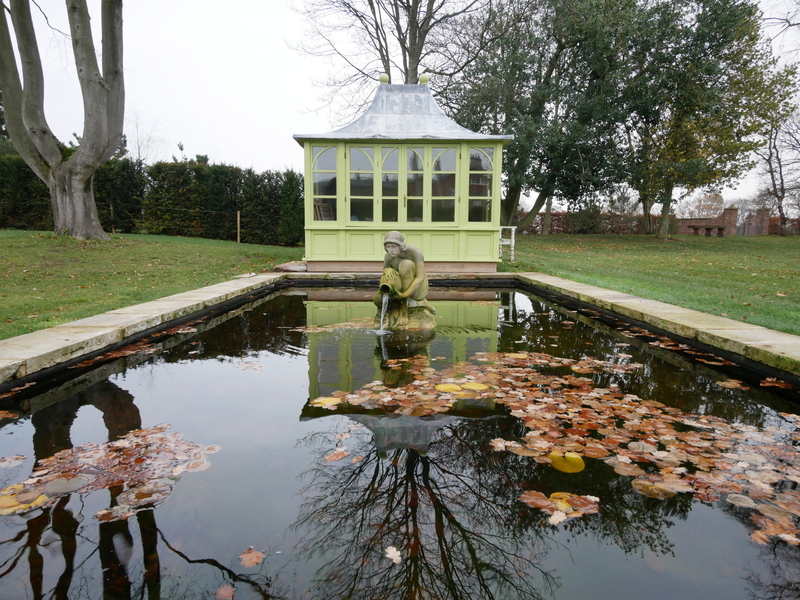 OUTSIDE The garden and grounds have been completely redesigned at great cost, to again compliment the period in which the house was built. 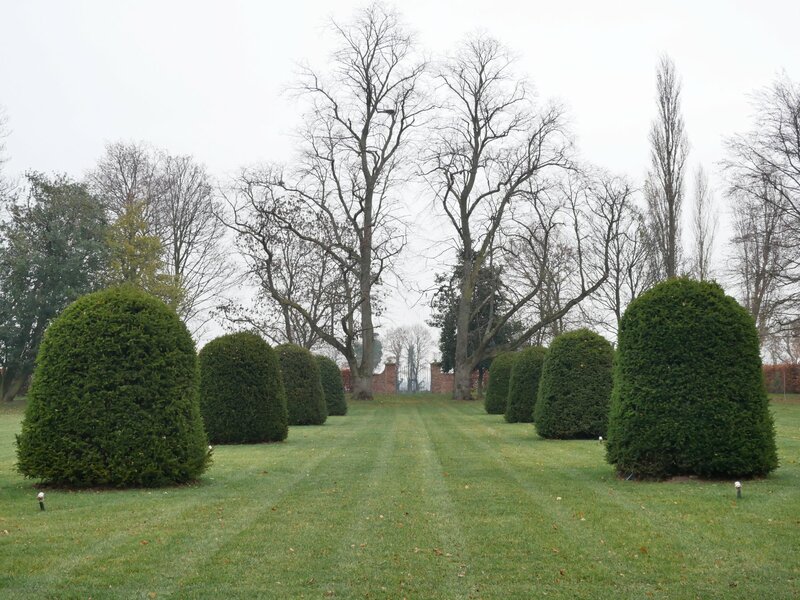 The long sweeping driveway, lined with lime trees, has been recently constructed, along with the pond, which is surrounded by a terrific number of bulbs, the majority of the beech hedging around the property is newly planted as is the ornamental topiary and main lawns, which were both imported from Holland. 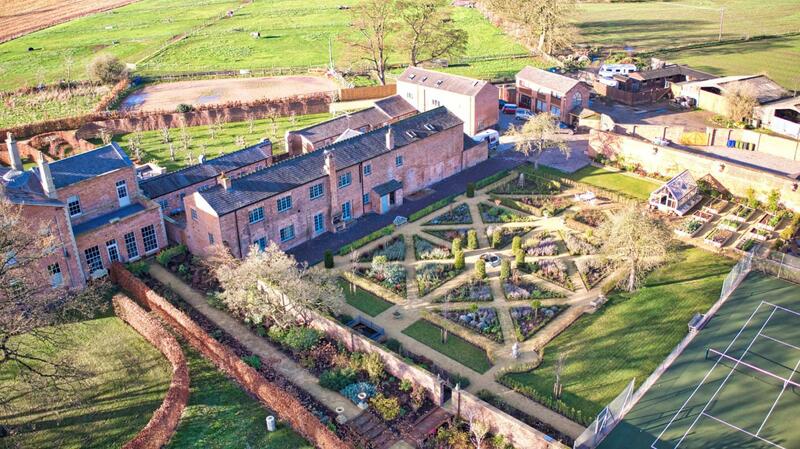 To the left of the main house, approximately 1000 trees were added and the soft landscaping in the gardens is newly planted. 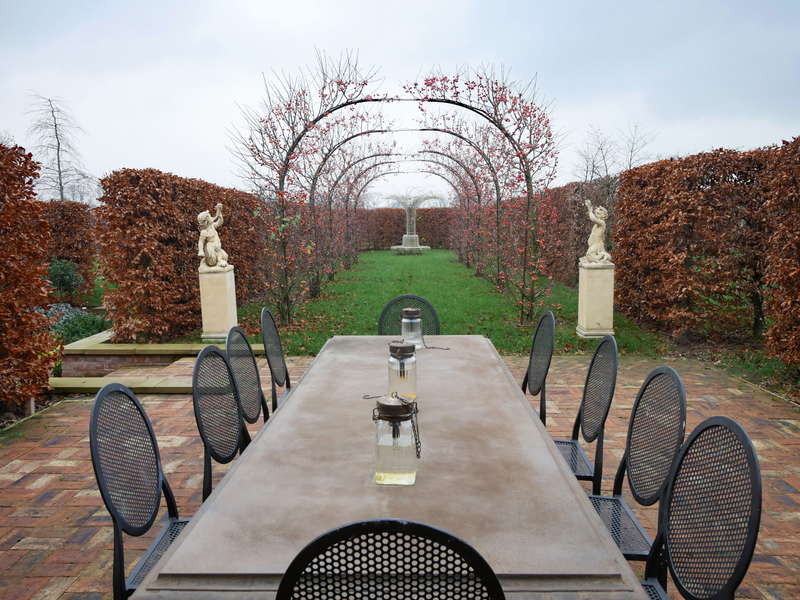 The walled garden, originally a field, is now a breath taking formal garden with walkways, temple, vegetable plots and tennis court. 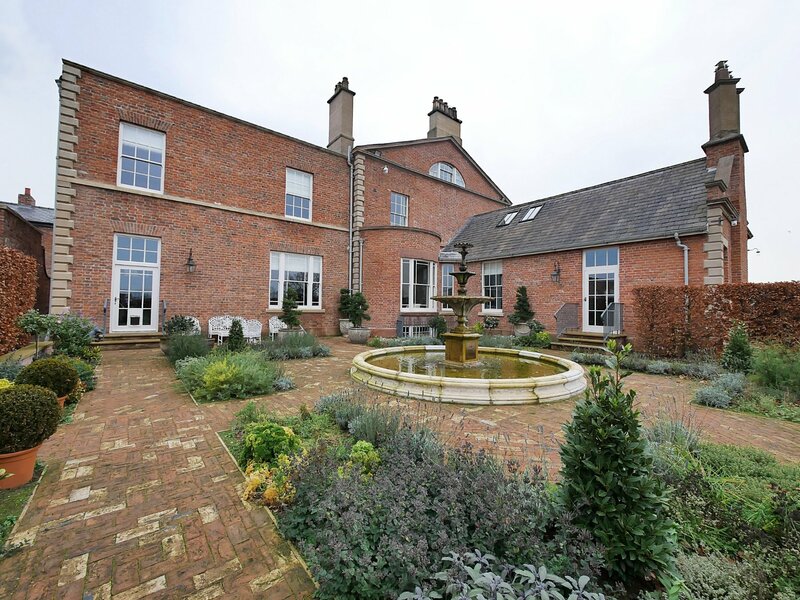 To the far side of the main house is a beautiful fountain and courtyard which leads into an orchard, planted with ancient specimen fruit trees. 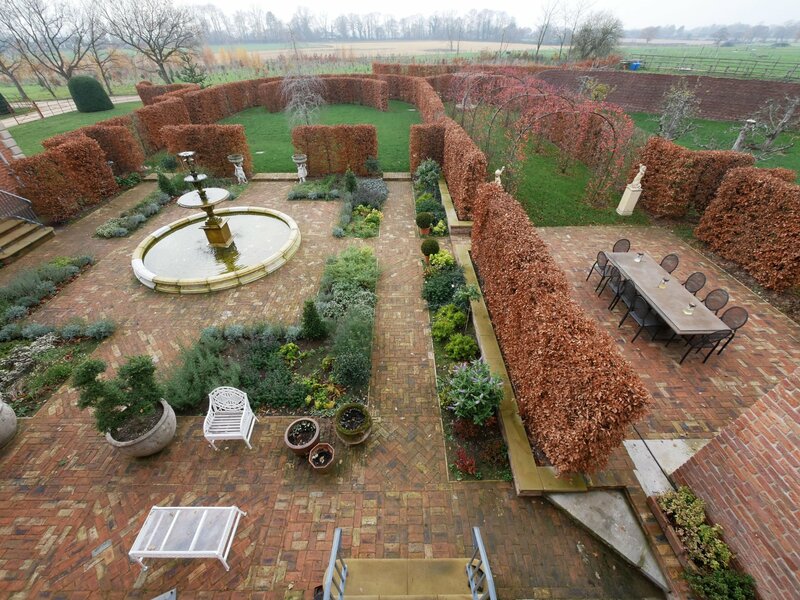 To the rear of the walled garden is a walled utility garden, ideal for storage and gardening equipment. THE COURTYARD To the rear of the main house, and accessed by either the main front driveway or rear access road, is a most attractive courtyard area adorned by a number of residential properties which could either be occupied by extended family members or transformed into holiday lets to create a substantial income. Handan Court is a charming former 18th century coach house offering flexible accommodation set across three floors. The ground floor comprises, a large living room, dining hallway, spacious farmhouse style kitchen/dining room, a good size utility room, bathroom, and further reception room/bedroom. On the first floor there are three bedrooms, the master benefitting from a spacious dressing room and en-suite shower room. The second and third bedrooms each benefit from spiral staircases leading to mezzanine floors which could be utilised as dressing rooms or lounge areas. 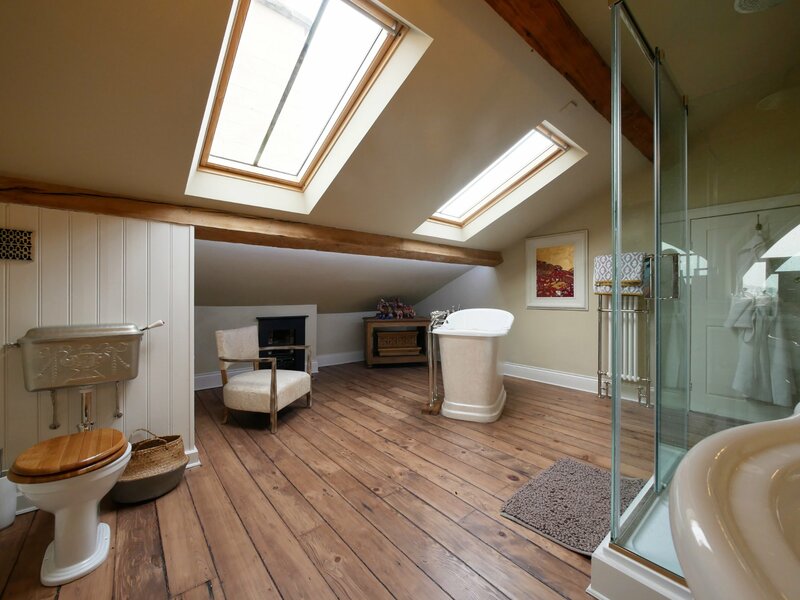 The first floor also has an impressive bathroom fitted with a three piece suite, large jacuzzi style bath and a walk in shower. On the second floor is a mezzanine level, ideal for use as an occasional bedroom or home office. 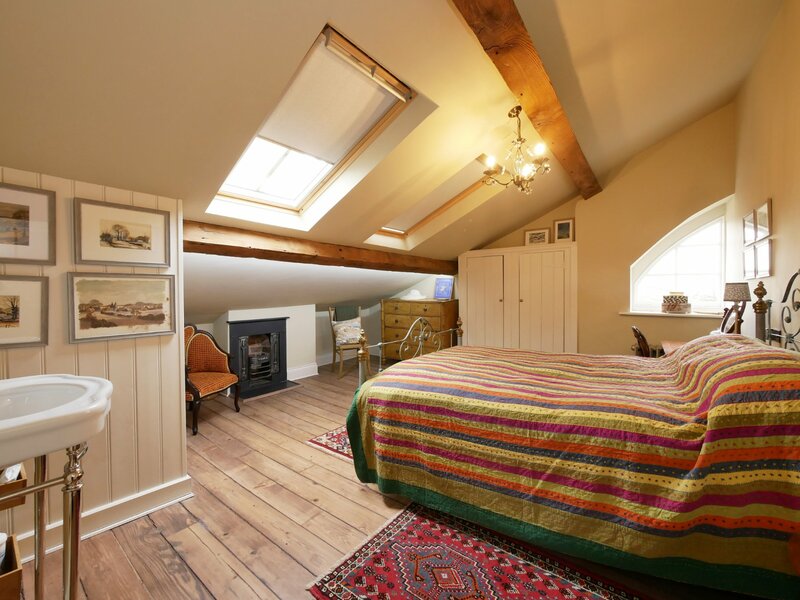 Handan Court Barn is a detached, converted Dutch barn, which, on the ground floor comprises, a fully fitted kitchen/breakfast room, double bedroom with ensuite bathroom and further double bedroom. 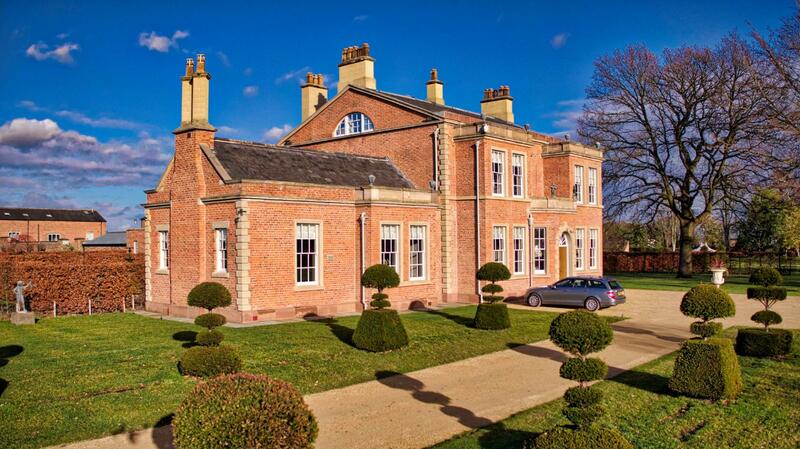 On the first floor is an extremely spacious open plan reception room which could easily be reconfigured. Pole Court is a pleasing two storey residence, the ground floor comprises an entrance hallway, WC, L shaped lounge/dining room fitted with a feature fireplace and a fully fitted kitchen. Attached to Pole Court is Pole Mews, offering almost three thousand square feet of accommodation over two floors. 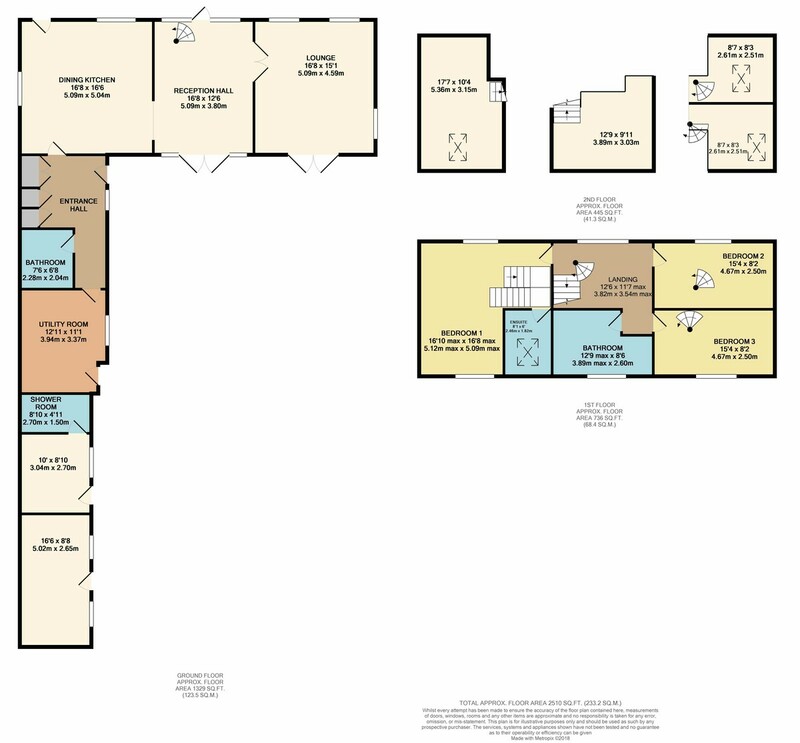 The property is in need of internal renovation but offers the potential to be subdivided into a number of smaller residential units,subject to obtaining the relevant planning consents should this be required for a residential letting opportunity. There is a further single storey barn which would easily convert into a compact one/two bedroom holiday let. Throughout the courtyard there are a number of gateways leading to the main house, orchard, walled garden and the rear access road. Antrobus boasts a village hall to be proud of, located in the centre of the village, it literally is at the heart of the Antrobus community, having been built by local residents. The village dates back to the Domesday Book and has a highly regarded primary school, village shop and Post Office along with a quaint local pub serving freshly cooked food. 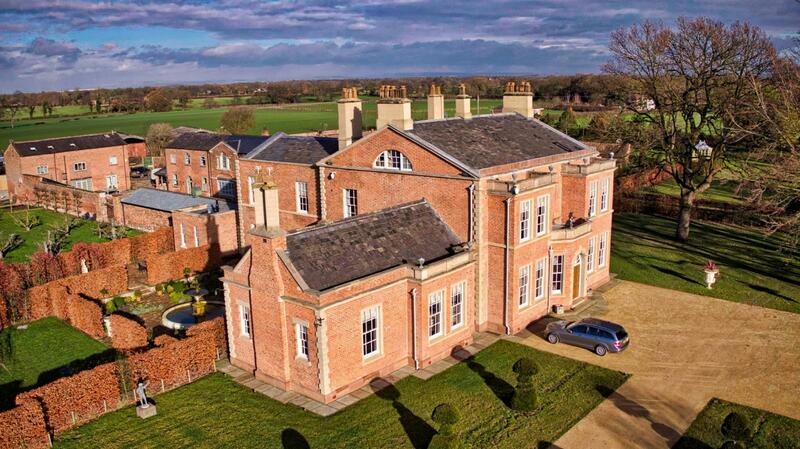 Cransley Independent Day school is close by as are a 71 Par 18 hole golf course and award winning community gardens. This village is ideal for those who want a quiet setting for family life but still want easy access to commuter routes, or those who want to retire and join in with the vibrant community activities.